UFO SIGHTINGS DAILY: Giant UFO Near Jupiter Seen Through Telescope for 10 Minutes! Video, March 23, 2016, UFO Sighting News. 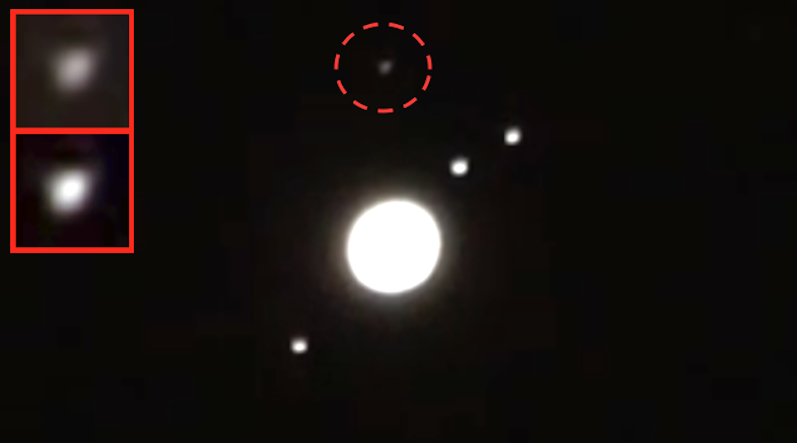 Giant UFO Near Jupiter Seen Through Telescope for 10 Minutes! Video, March 23, 2016, UFO Sighting News. 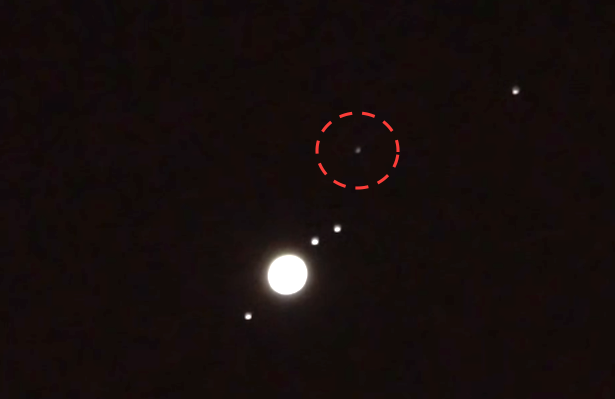 This is some amazing footage of a giant UFO moving past Jupiter back in March. TakeBackSpace TV was using a 8" Nexstar telescope with a Sony a6000 camera. Its a nice set up and as you see, it self tracks really steady. This UFO is almost in focus and look really big. Jupiter has 67 known moons, and three of the biggest are visible near Jupiter. This UFO looks to be about the size of any one of those moons. Each is about 25% that of Earth...thats one big UFO. Also did you notice that the UFO gets brighter, the closer it got to Jupiter? That means its really close to Jupiter, within its orbit. Hey everyone! I finally got around to editing this capture from last month. I could not match it up with satellite transits online, but that doesn't mean it's not a high altitude known object. I personally don't know what it is, but it seems like it gets brighter (possibly reflecting light) and dimmer in certain parts. There are parts that are just a dot on the screen, but I wanted to provide the full capture as best I could. Jump to the last minute for the sped up portion if you want, but I encourage you to enjoy the whole experience.